January, the month of new resolutions, new starts, new promises, new, new, new. Christmas has come and gone for another year. All the partying is over. A busy couple of weeks from the 8th December when the city centre is crowded with shoppers to the 6th January when little Christmas is celebrated. Over the past 6 years, I have celebrated the 6th January with my girlfriends in recognition of Nollaig na mBna. This is when the menfolk look after the house and the family so that the women can have a party among themselves. The excuse was to use up all the left over pudding and cake and drink. It was traditionally celebrated in the country more so that in the big smoke. We thought it was a good idea to start our own Nollaig na mBna in my house and it has been great so far. There isn’t a better way to start off the month of January than having a group of female friends over for a bite to eat, a drink or two and a good old chat. The Christmas decorations are put away and the place looks bare. It takes a while to get used to normality again in the house. Great plans are made for the weeks and months ahead. The weather is cold and damp but there is an expectancy in the air. 2017 here we come. 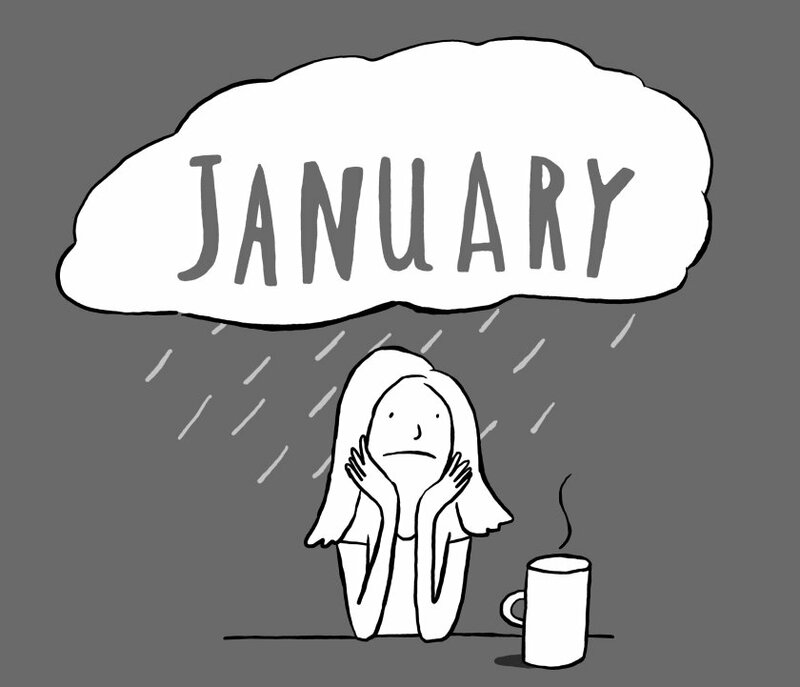 January is a great month to start something new, to give it a go, even if you tried the same thing last January and failed. I love to see all the walkers out in force, determined to lose those pounds that stuck to them while they enjoyed the festive season. It is like an army on the move. The supermarkets are full of people buying healthy options and lots and lots of fruit and veg. Spirits are high, recipes are swapped and we get through these first few weeks that can sometimes be tough on us. Those who are lucky enough can escape to sunnier climates for a few weeks to get over the hurdle and into the spring. The rest of us scan the travel websites, or look through the glossy brochures planning the holiday in the sun in 5 or 6 months time. January can be as good as you make it. Enjoy the newness of it and make it count.